Earlier this week I co presented a workshop for aspiring leaders within my school and local school network. The workshop was the first of three for the year, and was designed to get participants to actively and honestly engage in self-reflection, as a foundation for leadership development. The workshops are designed to assist leaders at all levels improve their leadership skills to assist them in building professionalism and potentially move to the next level of leadership. Participants ranged from first year teachers to the College Principal, clearly displaying the variety of leadership which exists in schools. I have run similar workshops before, however this year I engaged support from Assistant Principal Kelli MacDonald who brought a perspective and level of reality to the workshop which I hadn’t considered before. At the end of the workshop, we asked participants to complete an exit ticket, which will help inform our future workshops. Participants were asked to respond to two questions: 1. What is it that good leaders do that I don’t? 2. What questions do I have about leadership? Needless to say the responses were varied in their scope, topics, seriousness and passion, but all nonetheless were powerful. These were the innermost thoughts, neuroses and doubts of some of the best teachers and leaders within our school. Some of the questions about leadership included; can I have friendships as a leader or must they always be colleagues first? How do you build networks outside the college? Is it best to move between schools, especially if making a significant move up? How do I handle it when I am in a role that I feel I am ‘in over my head’ with? How do you provide constructive feedback to your team without ‘deflating’ them? Great questions, and certainly ones that we will endeavour to address in future workshops. The question that really got Kelli and I thinking however was a little more specific. The question inquired about the most difficult and surprising thing that Kelli had faced during her transition from Leading Teacher to Assistant Principal. This was an interesting and pressing issue for both Kelli and myself who have recently been (in fact really still are) transitioning into new roles. I moved from Assistant Principal to Campus Principal this year and Kelli also transitioned from Leading Teacher to Assistant Principal this year. Needless to say we have pondered this question over the last few days, and have discussed what makes an effective transition. Why are transitions so important? Mainly because so many of them go wrong. The business world is littered with examples of new CEO’s bringing a whirlwind of change to an organisation, which ostensibly pulls apart the fabric of the organisation or business model. As Inc. magazine points out in this great article http://www.inc.com/ilan-mochari/ceo-transitions-can-be-trouble.html one of the recent examples of this is Howard Schulz of Starbucks, who returned to the CEO position after semi-retirement on the board, where he watched the core values of his company abandoned and business plummet. This article also points out that the common business mantra/myth of the first 100 days. The “conventional wisdom suggests rapid change is important” however increasingly this advice is being called into question, as more and more case studies of transitions show that taking a patient, observational approach to a leadership transition, allows the leader to create more powerful change later on. Similarly within education the glorified idea of the Transformative Leader – who sweeps into a school and makes a series of bold, symbolic (and usually popular) changes, is being drawn into question also. Mounting debate around Transformative Leadership in schools is beginning to show that this type of leader can actually lead to decreased student learning outcomes and learned helplessness among staff – See Prof. Vivienne Robinson and Michael Fullan’s work for these discussions. So what does make a good leadership transition then? Well I don’t have a definitive answer for you – except to say that you need to work at it. After I was appointed to my new position mid last year, I had a 6 month lead up time before I took over (this is a luxury most don’t have, I know). However, I worked with my coach to establish a plan that would enable me to have an effective transition into my new role, and that I would be able to support Kelli in transitioning into her new role. The plan involved having regular meetings and discussions about role clarity, expectations, staffing, and potential issues that may come up and how we’ll deal with them. It also involved me setting aside some time to meet with every member of staff during the first 6 months to enable me to see the school through their eyes. In some ways, it didn’t matter what the plan was – what mattered was that we had a plan and we worked on it together. In fact, it’s May, and we’re still working on our respective transitions. 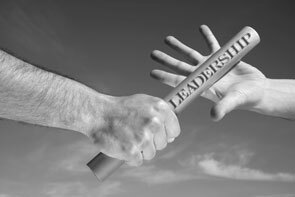 I’ve witnessed good and bad transitions first hand, and usually the bad ones come down to one factor – either the outgoing or incoming leader is unwilling to invest in the handover. This can be due to juggling of existing and future responsibilities, personality traits/conflict or sometimes just the deer in the headlights factor. But in my experience – once you get the job, nothing is more important than the transition. In our experience, open and honest dialogue between the incoming and outgoing leaders is essential. As is making regular time to meet and plan out key events and responsibilities during the handover. As this level of trust builds (or if it already exists) the open and honest sharing of doubts, asking of questions and checking in becomes indispensible. Have you made a leadership role transition? How did it go? Do you have any tips as to what makes a good transition? Leave your comments below. In a recent restructure what I have noticed is the sweeping out of some well established practitioners that were not that comfortable with the projected changes. Their collective wisdom and experience has just been lost and is now missing without effective transitioning and valuing of their significant contributions. Hi Graeme, The loss of corporate memory can be a huge issue at any stage of an organisations life, and I think it can be accelerated during a leadership transition. Can be demoralising.